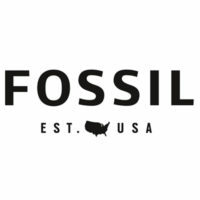 Fossil is a retail company that focuses on creating watches and accessories for its customers. It operates in over 150 countries and has 59 offices around the globe. The company was founded in 1984 by Tom Kartsotis.It was named Overseas Products International before the owner settled with its current name. The company’s first product was watches. With its 615 company-owned stores around the world, it continues to be one of the leading names in the industry.Its workforce is composed of over 15,000 competent employees. The company provides benefits for its employees to enjoy such as medical and dental assistance, pension options, paid time off, retirement plans, and dismemberment plans. Employee discounts on company products are also given. Its workers can improve their skills while getting paid through the company’s paid trainings and development programs. Fossil requires its applicants to be at least 16 years old for them to work in the establishment. This applies to both part-time and full-time job positions. Brand Manager:This person helps the brands team make strategies on merchandising decisions. The brand manager serves as the bridge between the brand and technology. Senior Mechanical Design Engineer: This person works with the product design, program management, and the hardware and manufacturing teams. The senior mechanical design engineer creates the mechanical design for Misfit consumer products. Brand Selling Specialist:This person processes the cash transactions of customers. It is also among the brand selling specialist’s tasks to offer the company’s newest products to customers. Store Assistant Manager:This person works with the store manager to ensure the smooth operations of the store. The store assistant manager takes over in case the store manager is not around. Apart from the mentioned job positions, the company offers other job opportunities such regional human resources manager, database marketing analyst, retail operator analyst, and electronic systems engineer. The applicant must create a user profile to continue with the application process. Social media accounts such as Facebook, Twitter, and LinkedIn can also be used to sign in. Online application is used for the hiring process to be efficient and fast. The company can easily keep track of applicants regardless of the location of its branch through this method. The general information of the applicant must be placed in the form. Be sure to write down every detail required to ensure that the form will be processed by the hiring department. The resume must be arranged in a way that the most important points or details are placed first. The applicant should provide minor details that will support these points. Do not be neutral when answering the interview questions. The applicant must clearly state if he/she agrees with the statement or not. Provide the reason for having such an answer. Innovation, curiosity, and sense of humor are the foundations of the company’s culture. It strives for excellence while being connected to the people around it. Halloween is one of the highlights of the year for the company and its employees. During its Spooktoberfest event, its employees were divided in teams to compete on who had the best costume. The company partners with some of the most well-known businesses (such as Adidas, Armani, Michael Kors, DKNY, and Diesel) to design and create watches under their names. The Fossil Foundation emphasizes innovation, sustainability, and high impact. That’s why it invests in a number of programs foreducating young entrepreneurs and using efficient systems.